In its response, Tesoro referenced unspecified “inaccuracies” in the agency’s report. Tesoro officials also said they have been working closely with multiple agencies since the 2014 incident to review a range of procedures, controls, and training operations. 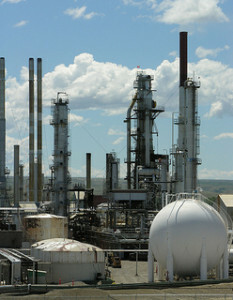 Cal/OSHA, which previously fined the refinery $45,000, commented that Tesoro has been working to improve safety culture. Tesoro is certainly not the only company to have a history of refinery accidents. In early 2015, according to an article in the Los Angeles Times, too much pressure caused an explosion in a Southern California Exxon Mobil refinery. That incident sent four workers to the hospital and caused irritating ash and other debris to rain down on surrounding neighborhoods. The 2012 Chevron fire in Richmond that sent approximately 9,000 people to local hospitals with respiratory complaints was, as SFGate noted at the time, preceded by a June 2011 fire in a Chevron refinery overseas that killed four people. A BP Refinery in Texas City (now sold to another company) was the site of at least two major incidents. In 2005, an explosion at the plant killed 15 workers and injured 170, leading to hundreds of safety citations by the Occupational Safety & Health Administration. According to the Houston Chronicle, that same plant became the subject of a major lawsuit after hundreds were allegedly sickened in a gas leak in November 2011 that continued for weeks before being remedied. True accidents can and do happen, especially in dangerous industries. However, when companies choose profits over safety, something must be done. Oil and gas companies must be held responsible when preventable accidents cause injury or death. The Brod Law Firm handles injury and wrongful death lawsuits stemming from preventable accidents at oil refineries throughout Northern and Central California. We are equipped to help the victims of explosions, toxic gas releases, and other refinery accidents. We handle both individual lawsuits and class actions, including toxic tort class actions. Please call to schedule a free consultation with our experienced California refinery accident lawyer in Oakland, Santa Rosa, or San Francisco (or, if necessary, at another location convenient for you).